﻿ Mr. 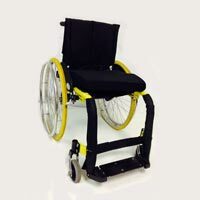 Wheelchair SA » Mr Wheelchair "Rocket Pocket"
This Wheelchair is very popular and one of our best Sellers. 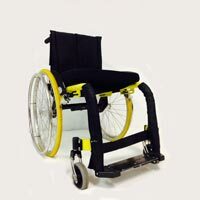 The saying goes: "It is as fast as a Rocket and can fit in your Pocket" (no-one can make it smaller) It gives you the opportunity to be independent as the wheelchair is so light that you can fold it up and put it in the car next to you with one hand. It rides like a Rigid chair but folds up very small as can be seen on the photo. 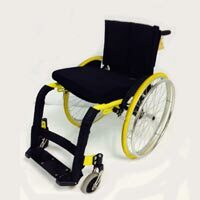 Standard Pneumatics or Rigid wheels available. 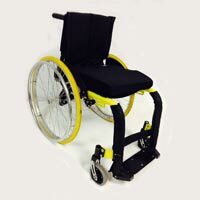 The Rear and Castor wheels come in a standard Grey colour with above quoted price.